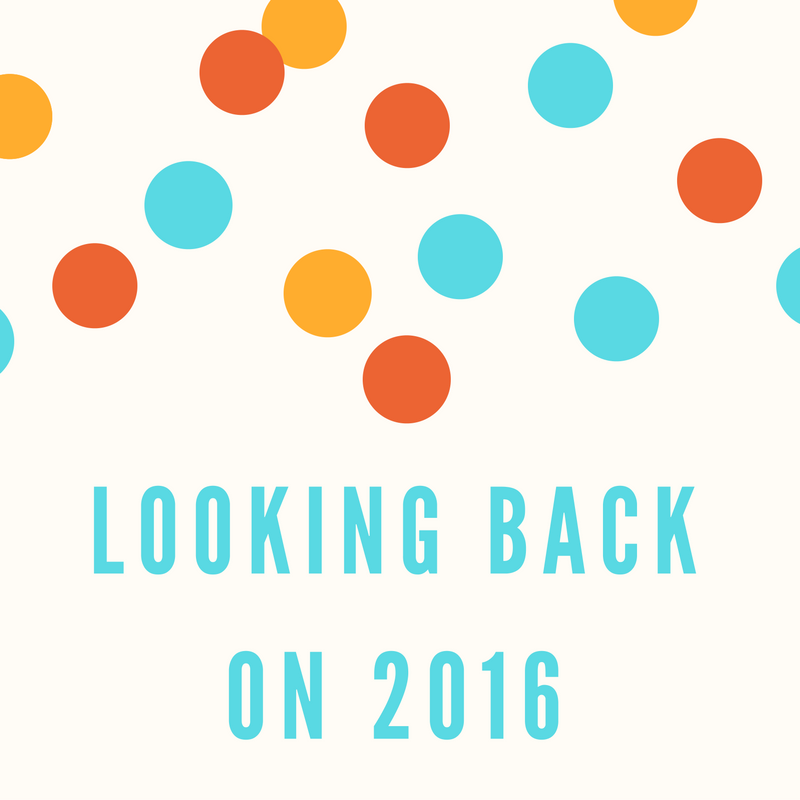 In 2015 I did a post called 'Looking back on 2015' where I talked about some of the best bits of my year and I really enjoyed writing it. For the past years I've had so many bad things happen with my health that often it can be easy for me to just disregard a year as being bad, when it in fact I've probably done some amazing things! For example, this is the first time in 3 years that I've had a operation free year, YAY! My 2015 post was quite general but this year I wanted to go through each month, it's times like this that I love having a blog as it is easy to see what I've been up to throughout the year. The start of the year wasn't particularly exciting for me, I was about 3-4 months post hip replacement so I was just getting back to normal. In terms of my blog there is one post that stands out to me from the others that I wrote during January though, for the first time I talked openly about my anxiety. My Life with Anxiety post was the most popular one on my blog for that month and I'm so glad I finally found the courage to open up and talk about my anxiety, I was pretty nervous about doing it. February was much more exciting for many reasons, one being that it was Marfan Awareness Month. I did my best to raise awareness through posts on my blog and on social media, but I've got much bigger ideas for next year! The best thing that happened during the month though was that me and my boyfriend headed off to Amsterdam for the day, yes just a day! We got the ferry from Hull which travelled overnight to Rotterdam and then we got a coach to Amsterdam. Despite the fact that we weren't there for long we both had a really good time and I'm glad we went when we did as it is something I wouldn't be able to manage now. During March me and my boyfriend headed off to an awards evening where he won an award for his work with his charity and disability sports. It was a really good night and I was a very proud and emotional girlfriend, not just because I'd had some wine either! March was also the month that marked it being 6 months since I had my hip replacement, I was pretty much back to my normal by then which made a huge difference to the things that I could do. In terms of my blog I wrote a post in the middle of the month about the governments budget announcements and what it meant for disabled people, a post that I am still very proud of. I think that signified the start of me talking about disability and related topics more on my blog. April was a brilliant month! Me and my family headed off to Cardiff in Wales for a few days, meaning that I could finally go to The Doctor Who Experience! I had the most incredible day and I still can't believe that I got within inches of one of David Tennant's costumes. I wish that I could do it all over again, the staff there were incredible with dealing with me being on wheels and the interactive section was an experience that I will truly never forget. I'm a huge Doctor Who fan so it's a day I will remember forever! I think that was when my confidence with using my wheelchair grew as well, I didn't mind people taking photos of me anymore. I also started fundraising on GoFundMe to help get me a powerchair so I could gain back some of my independence. Less than a month after I set up the GoFundMe I reached my target! 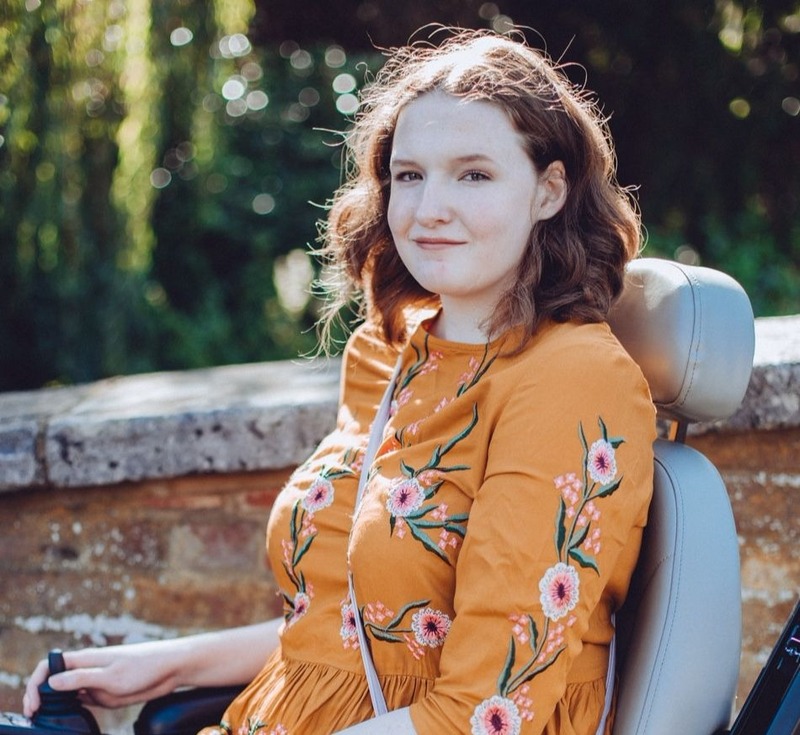 Between family, friends, bloggers and an incredible stranger we had managed to raise all the money I needed and soon after I ordered my new powerchair. I will never forget the moment that I checked the page to find that a stranger had donated nearly £900, the rest of the money that I needed to reach my target. Also during May my Sister got engaged, had an engagement party and we found out that she was going to be having a baby! It was a pretty amazing month between raising the money and finding out I was going to be an Aunty. I also met up with my blogging bestie Sarah for the first time too, we had a great day shopping! After raising all the money in such a short space of time I got my new powerchair in early June and I am still so grateful to everyone that helped me raise the money for it! Getting some independence back and being able to do simple things like going to the local shop on my own felt amazing and even now I never take for granted what everyone's generosity did for me. I only blogged 4 times during July due to 2 sets of bad news that I got about my health, but my wonderful boyfriend organised for us to go to London to see Matilda the Musical to cheer me up. Matilda was just amazing and it completely blew me away and made me forget about everything that had happened in the weeks before! Also during July we headed to Bridlington (the best seaside ever) for the day, I think we went on the hottest day of the year! In August I got the bus in my powerchair for the first time, something that I really wanted to do from the moment that we raised the money. It was amazing going into town and having full control of where I wanted to go, being pushed around in a wheelchair isn't too bad but you do lose your independence and control so to have that back was great. It was also my birthday in August and me and my boyfriend celebrated by watching Finding Dory at the cinema and then having some food at Pizza Express, the perfect day in my eyes! September didn't start off great as I got some more bad news about my health and honestly it was starting to make me feel quite rubbish but I managed to put my focus on other things and it wasn't all bad that month. I headed off to another awards night with my boyfriend, sadly he didn't win that time but we did have a lovely night out and I got to wear a fancy dress! During October I finally put a lot more of my energy back into my blog and I started posting more regularly, I somehow found a lot of motivation and inspiration from somewhere! I had a go at doing blogtober, daily blogging for a month, and I nearly completed it. I managed 18 days which I'm still really impressed with and it really helped me to figure out the direction that I wanted my content to go in. Ever since then I've been blogging nearly every other day and I've been enjoying it a lot more too. The biggest thing that happened that month though was that after 2 years of being in a long distance relationship I finally moved in with my boyfriend, in Hull! It was a big move, 3 hours away from where I previously lived with my family but things are going really well so far and it definitely was the right decision. I'm loving living in the North so far, even if it is freezing cold! November was a pretty exciting month for me! I worked with the British Heart Foundation on promoting some new Marfan Syndrome research that they had been doing at the University of Cambridge. I was quoted in a couple of newspapers and I got to do a radio interview which went live on BBC Radio 5 Live and BBC Radio Cambridgeshire! Also I become an Aunty for the first time as my nephew, Harry, was born on November 27th. I'm really proud of my older sister as apparently she was amazing during labour! During December I had the amazing opportunity to work with the British Heart Foundation again, I went to their head offices in London for the day. I was there to speak at a senior managers talk which was about research. I talked about Marfan, my blog and how I talk about my complex condition in a simple way and the importance of doing that. I'm really not a great public speaker, I much prefer writing, so it was incredible to have so many people come up to me afterwards to tell me how well I had done, I even got to chat to the CEO! It was amazing seeing the behind the scenes of the charity and we have even more exciting plans in place for 2017 that I can't wait to tell you all about eventually. My boyfriend was also doing a lot of exciting things at the same time too! He spoke to the Hull Daily Mail about his struggle to find a job and how his disability was probably getting in the way. He's applied for over 400 jobs with no luck but as soon as he removed any hints of him being disabled from his CV (previous experience, awards etc) he suddenly started getting interviews! Since then the story has EXPLODED! He's been in the Metro, The Mirror, Unilad, The Lad Bible, The Express and more! He's also been interviewed by local radio station KC FM and he did some filming for BBC Look North that is due to feature on the show soon! The story went all over the world and just a few weeks back he was on the Channel 4 News talking about the issue too. He's had some big TV offers since, Good Morning Britain for example, but with it being so close to Christmas he had to turn them down. I'm so proud of him for speaking up about discrimination against disabled people though and I'm glad that people are listening. Lastly, I also met my baby nephew Harry in December for the first time and I have totally fallen in love with him! I just spent 4 days cuddling him basically! So, it's been a pretty good year really! I'm not going to lie, my health is the worst it has ever been but do you know what, I don't care! I'm still loving life and smiling everyday, I'm finding ways around things and I'm trying to change the world day by day. I have BIG plans for 2017 and I can't wait to get started on them. Me and my boyfriend have even been called a power couple for the work we've both done recently, haha! What has been the highlight of 2016 for you? Wow, what a year! Certainly one of big changes, for better or worse, but it sounds like you have been making the most of all the opportunities you can and doing loads of brilliant work in the process. I hope 2017 can be a more positive year health-wise and whatever happens you're able to keep changing the world bit by bit - I'm looking forward to following you along the way! What a year you have had Shona! You have definitely faced some challenges but you never fail to impress me with your strength, determination and willingness to help others. I look forward to seeing your blog grow in 2017!